Hopefully this time without those oil leaks. A few months ago we reported about a rumor going around that now Chinese-owned MG was exploring the possibility of building a new roadster. Back in the day, MGBs and MG Midgets were some of the most common little open top four wheels of fun on the road. That is when they worked properly. Oil leaks and faulty electronics were very common. 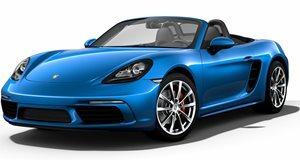 Anyway, an MG insider leaked some product info to Auto Express indicating that a new MG roadster is a go. There’s still no official announcement from the automaker. This new roadster will likely be built on an all-new platform as well. Powertrain wise, MG parent company SAIC is working on a pair of new engine families, which will include a 1.5-liter four-cylinder and a 2.0-liter turbo four. What will be interesting is whether this new MG will have a front- or mid-engine layout. 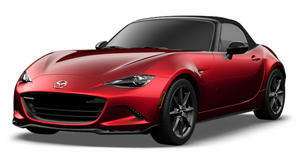 Basically, will it follow the formula of the Mazda MX-5 or Porsche Boxster? We’re putting our money on the former. An MG-MX-5 matchup would certainly be fun to see happen. Hopefully an official announcement and more details will come soon.